When doing bioacoustics recording, a great deal of information is typically generated. The recordings themselves are the starting point for collecting data. When the recording is first created, the recording device embeds information in the files called metadata. Initial metadata includes obvious things such as the date and location of the recording, but there is also information such as the type of recorder, the type of microphone that was used, temperature at the time of recording, sample rate, and so much more. The next step after recording is to analyze the data. Kaleidoscope Pro can apply auto-identification for bats. Kaleidoscope Pro can analyze and sort detected signals into similar clusters of data. And it’s quite common for a biologist to add notes and manual IDs. Some of this new information can be written back to the recording files and Kaleidoscope Pro also generates CSV files which can be opened in spreadsheet applications or other software tools. By now a large amount of information has been generated from the original recordings. There may be multiple recording deployments over time. In some cases, multiple recorders are in use at a single site. The question is: How does one manage all that data? How can the biologist access relevant information in a meaningful way? The answer is a searchable database. Kaleidoscope Pro 5 now includes sophisticated database functions for collecting information and doing comprehensive searches to find specific results. Imagine you’ve just finished a recording deployment and you want to compare the results to a deployment you did in the same location a year ago. All you need to do is tell Kaleidoscope Pro what you are looking for, press a button, and the data is presented. A database is a searchable collection of information. The information can include the original recording files or it can just include the metadata created from those files. So, the first thing you need for a database is a place to store your data. 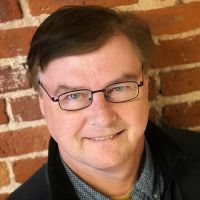 If you’re a network technology whiz, you may want to set up your own local database using something called Postgres SQL. If building networks is not your thing, Wildlife Acoustics has made it very easy for those of us who would prefer to focus on bioacoustics rather than computer programming. One of the new features in Kaleidoscope Pro is support for Cloud access. All you need is Kaleidoscope Pro 5 and a computer that connects to the internet. With Kaleidoscope Pro 5, you can join or create a Managed Cloud Account. All the work has been done for you. Create your Managed Cloud Account (or join an existing account) and log in with Kaleidoscope Pro 5. The Managed Cloud Account is set up and ready to go for database work. As you do batch processes and manual ID work in Kaleidoscope, the metadata from that work gets added to the database. You can work off-line and upload to the database when the computer has access to the internet. One of the many advantages to a Managed Cloud Account is Cloud-based computing. If you run batch processes using Cloud-based computing the results are added to the database. Kaleidoscope Pro 5 has a new tab that contains the database search functions. It’s easy to use and you can be as specific as you like with your searches. Search by species, by date, or location of deployment. Search for manual IDs created by your colleagues to compare results. Any type of data created during and after the initial recordings can be searched. And it doesn’t stop there. Kaleidoscope Pro 5 can be customized to include new searchable data fields. For example, Wildlife Acoustics has included a project form that follows the North American Bat Monitoring Program (NABAT) recommendations for collected data. If you have specific data that you’d like to add and search, Kaleidoscope Pro makes that a simple task. If you don’t already have Kaleidoscope Pro 5 you can download and install it here. You can do a 15 day, no-cost trial of the software. There’s no charge to set up a Managed Cloud Account. 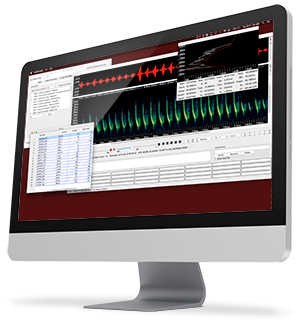 Each month, Wildlife Acoustics provides each Kaleidoscope Pro 5 subscription with Cloud credits, so for moderate use, there may never be any additional charge for these powerful new features! Once you use the database functions in Kaleidoscope Pro 5 you’ll wonder how you ever got along without it!